A murder-mystery novel introducing the character of Honolulu police detective Kimo Rigg, a veteran cop whose career has been sidetracked by a whistleblower lawsuit. 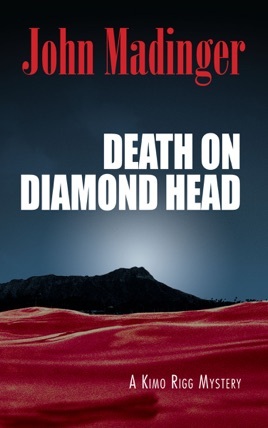 Now Rigg has landed in new hot water: a murder victim’s body is dumped virtually on his doorstep, down the hill from his new house on Diamond Head. The murder has all the trademarks of the Double-Crosser — a serial killer HPD thought dead and done for five years ago. Rigg finds himself following a twisting path into the dark heart of a case no one wants reopened after a dead murderer who just might not be dead after all. Author John Madinger grew up in Honolulu. He draws upon a 30-year law enforcement career, most of it spent in the Islands, to create the character of Rigg. A criminal investigator with the U.S. Treasury Department, he is the author of textbooks on money laundering and confidential informants, and has lectured around the world on financial crimes and criminal investigation.